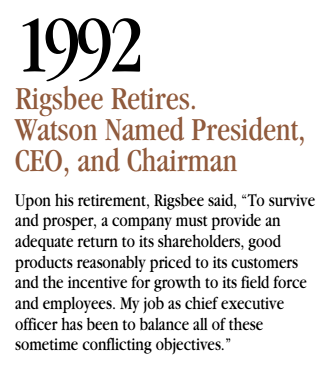 "To survive and prosper, a company must provide an adequate return to its shareholders, good products reasonably priced to its customers and the incentive for growth to its field force and employees. 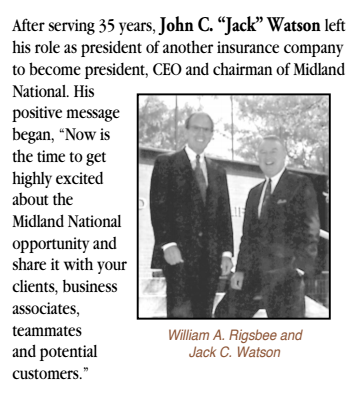 My job as chief executive officer of Midland National has been to balance all of these sometime conflicting objectives." 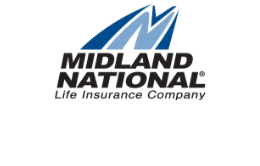 "Now is the time to get highly excited about the Midland National opportunity and share it with your clients, business associates, teammates and potential customers."